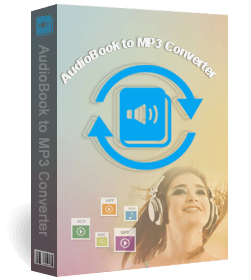 You can purchase AudioBook Converter for Mac securely using a major credit card, a bank account, or a PayPal account. The license key(s) for your purchase will be emailed to you as soon as the transaction is processed, usually within a few min, max a few hours. For information on ordering, licensing, volume discounts and other product-related information please email us at sales@audiobooktomp3.com. • iTunes 10 or later; fully compatible with the latest iTunes 12.9.3.4. 1. You will receive an email with registration code shortly. Please check your inbox a while later. 2. This payment via MYCommerce Shareit does not include value added tax. You may need to pay VAT varies by country. 4. If you do not receive your code after several hours, please check your spam filtering in case that our registration email gets marked as spam and sorted into a "Spam" folder or deleted. Copyright © 2019 AudioBooktoMP3.com All rights reserved | Email: support [AT] audiobooktomp3.com .